Sept 29 - Dual Cross Country East - Learn to Fly With Vera! Finally, after months of re-booking due to weather, health, schedules or other flight-interrupting concerns, the stars aligned and we were able to fly together to Muskoka-Peterborough-CYTZ! The ground brief for cross country is quite labour-intensive, involving many preparations and calculations. In general, it is not uncommon to brief for 5-6 hours before ones first cross country. Clearly, that kind of a time commitment all in one sitting is not realistic for me. Luckily, my instructor was willing to chunk the briefing into shorter snippets over several weeks, and then we did our final calculations based on the weather the morning of the intended flight. In addition to preparations, the actual flight itself is quite involved. 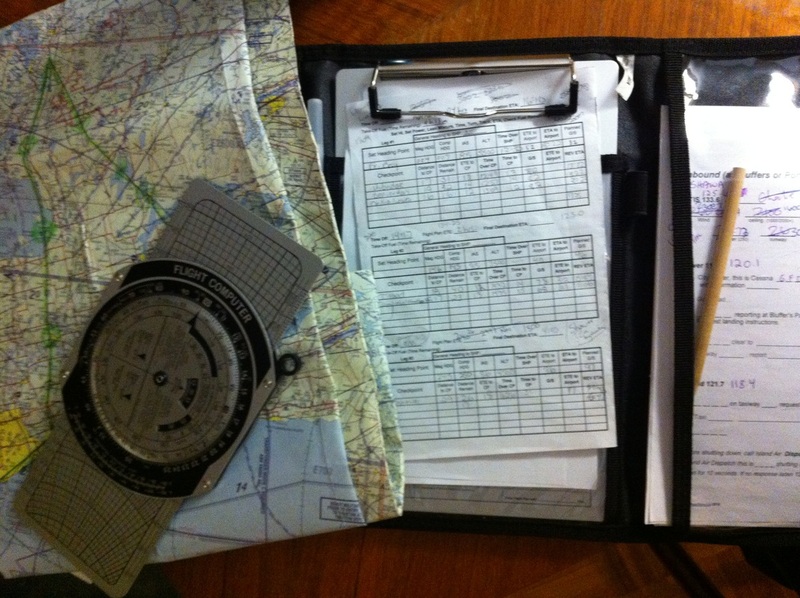 Planned times and distances must be checked and revised while flying, navigation chart to map must also be done; it is – for many students – the first time outside the practice area. And then, there is the PTR to stamp and the school to call at each stop, and FSS to contact to open, amend (if necessary) and finally close ones flight plan. In short, it is “REAL” flying! 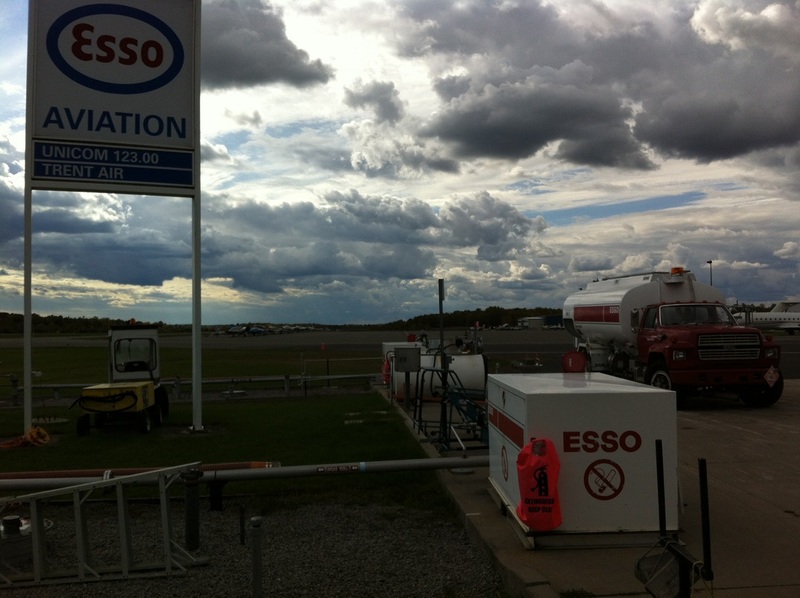 The flight itself – although a bit bumpy at times due to flying just under a layer of cumulus – was actually not as difficult as I had expected. Only once, while I was consulting a chart and recalculating a distance on the SHP to Muskoka, did I suddenly look up to find myself in a rather unusual attitude (fully how quickly that can happen when one doesn’t keep a lookout!) But the radio calls (I had been especially concerned about flight following, which I had never done before) were not too tricky, thanks for the prep we had done, writing down all possible radio numbers along the route. And making detailed diagrams of the two new airports, including possible circuit-entry paths, sure helped when we actually flew the trip. 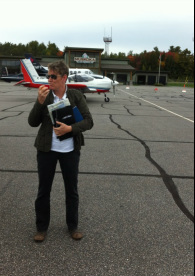 As a precaution, we stopped in Peterpatch to refuel. The tanks were reading a quarter, and although it was FDH, which tends to underread, my instructor tends to err on the side of caution. In an ideal world, one would fly the dual one day, and the solo the next, however of course, the weekend we finally got to fly this cross country only graced us with ONE good weather day. So I still have my solo ahead of me, hopefully next weekend sometime, weather permitting of course!!! In the meantime, I intend to fly locally, and also refly the route using a flight sim program, especially to practise radio and circuit entering procedures, so that I don’t lose all the learning from yesterday’s amazingly confidence-building flight.